On the day I was lucky enough to pay a a visit to FireBrand Pizza it was cold and a little bit snowy and my day at work was a tough one. But when I walked into the warmth of this little gem it restored my feelings and I was all cosy inside. The manager Chris gave us a very warm welcome and whisked us past the impressive wood fired pizza oven and to our table for two. This little restaurant, which is conveniently located right next to Maryleone Station, has only been open for 6 months but it seems like its been around forever. 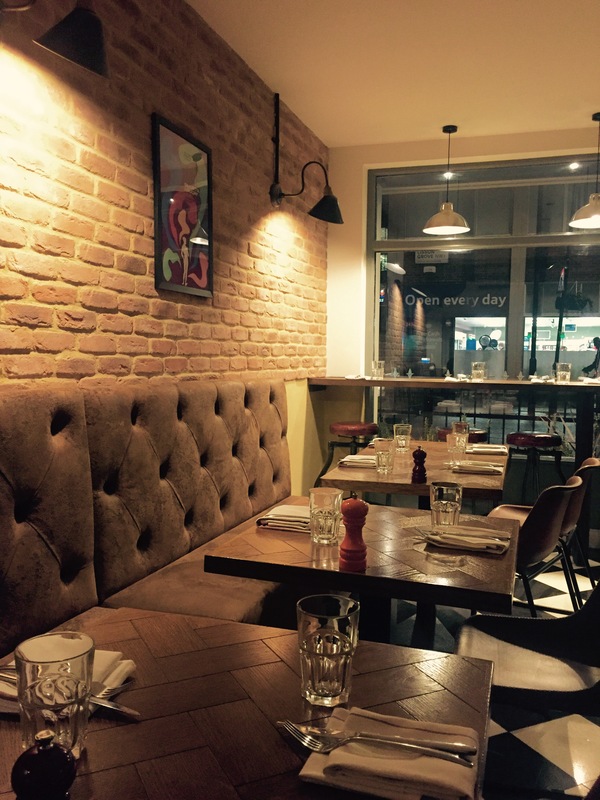 The ambiance is relaxed and chilled and they really just let the amazing ingredients and dishes do the talking. Most of the staff are Italian along with the pizzaiolo (pizza chef) who has been making pizzas for 20 years and boy you can tell. 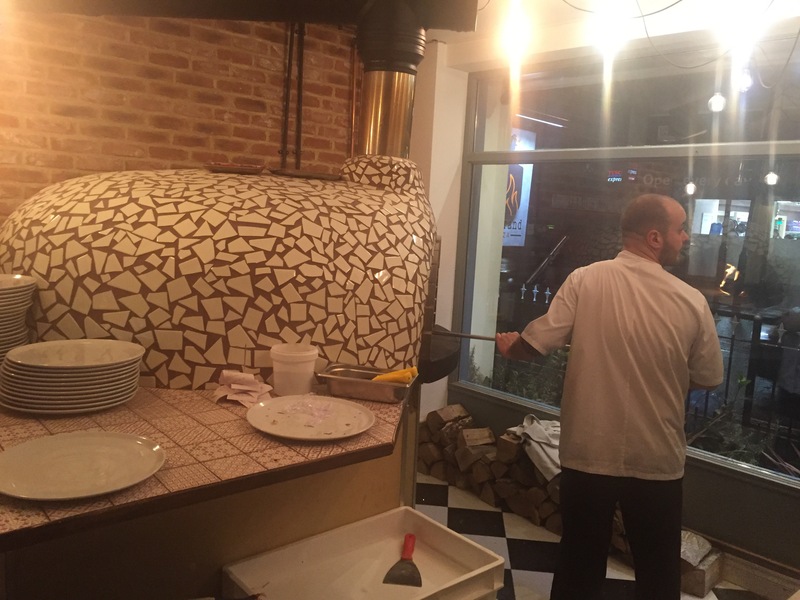 The sourdough bases are made from Neapolitan Caputo flour and left to prove for 48 hours before being used for the pizzas which then cook in 90 seconds in the 400 degree oven. 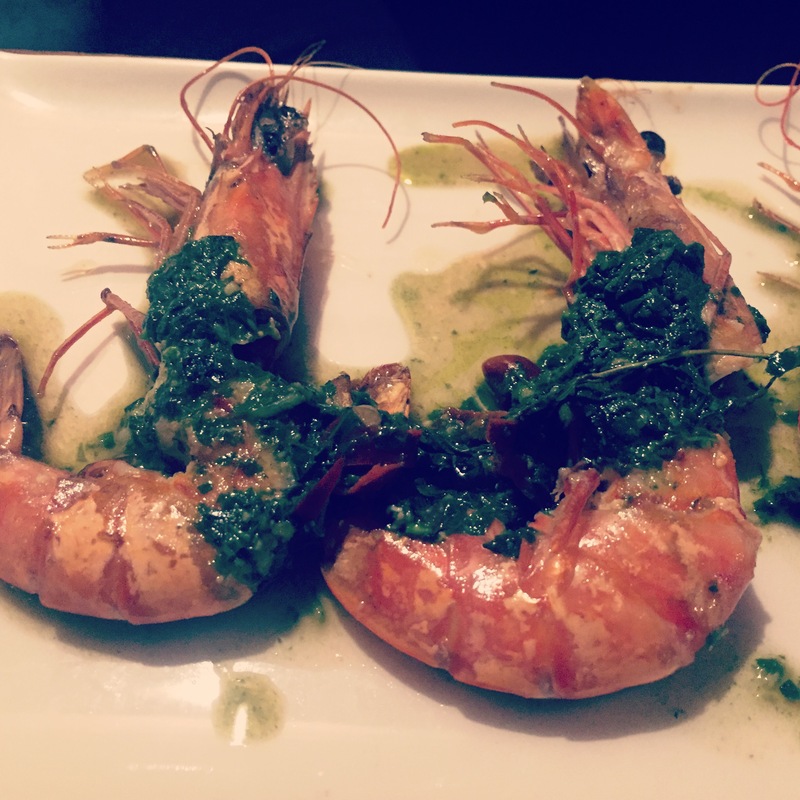 For starter we ordered amazing prawns which come in shells and covered in butter lemon herbs and chilli. 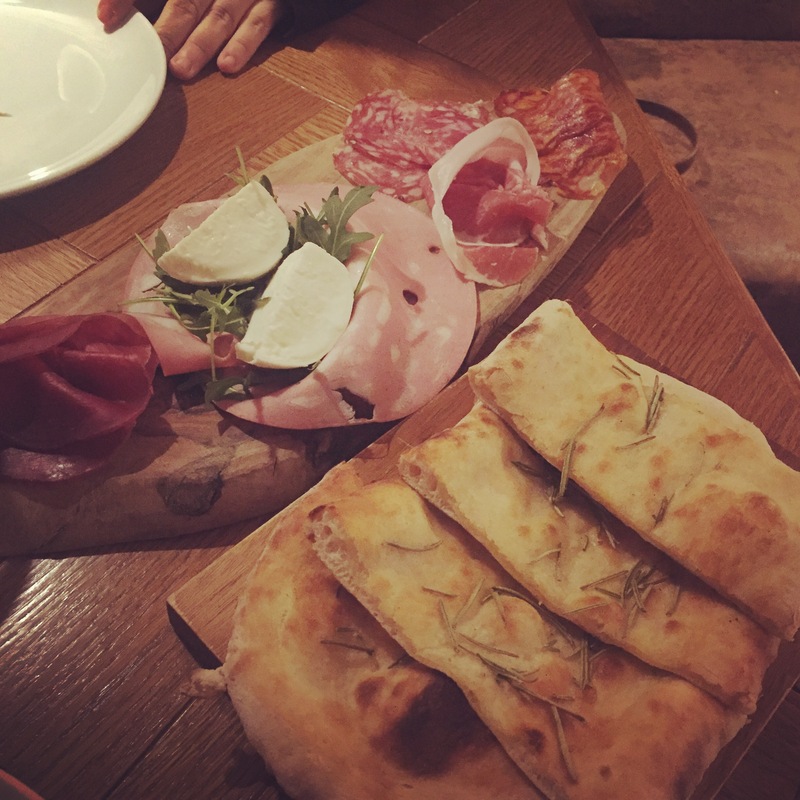 Also a meat board from heaven with mortadella, Spicy Salami, Parma Ham, Salami Milano and Bresaola with a blob of buffalo mozzarella and some garlic bread. 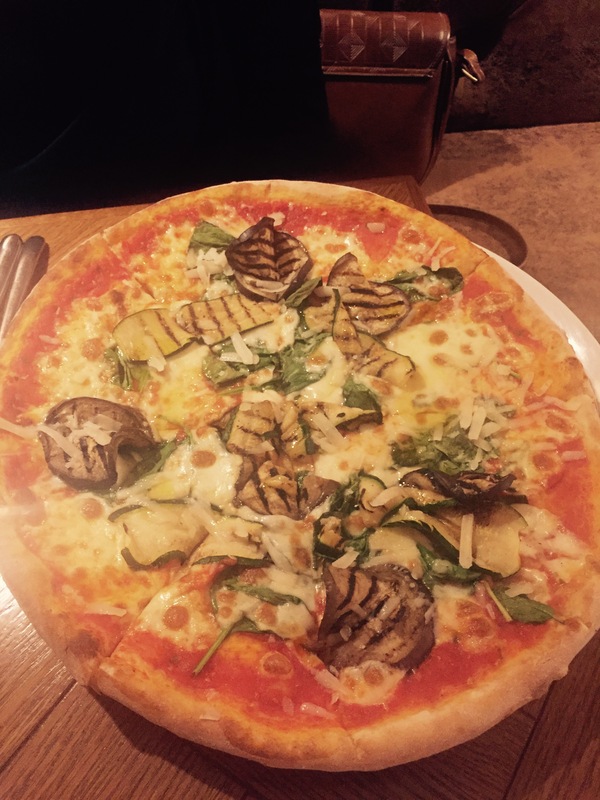 The vegetable pizza was a real showstopper with a crispy base, gooey mozzarella and beautiful charred aubergine, courgette and spinach. To finish we were given a taster of lemon sorbet and pistachio ice cream which are from a London supplier (didn’t catch the name which is a shame) and were simply delicious. Especially the lemon sorbet which was soft, light and fruity and not at all like those hard lemon flavoured sorbets you generally get. Believe me, you wont know good sorbet until you’ve had it. Previous Post Chinese New Year- Where to eat and drink?